Stimulation of blocked enzymatic systems in degenerative diseases as well as in defective enzymatic functions, for improvement of the oxygen utilization, in metabolic disorders, wasting diseases, chronic eczemas. Cerium oxalicum D8 0.05 ml; Acidum alpha-liponicum D6 0.05 ml. 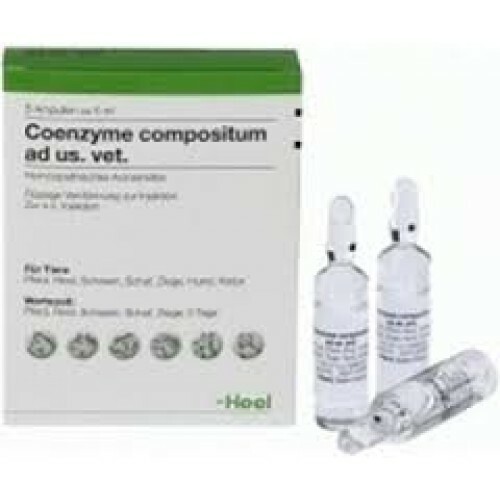 Coenzyme compositum ad us. vet. is to be administered oral or by s.c. or i.v. injection.